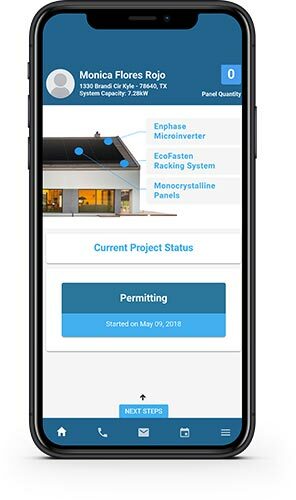 Simple and intuitive experience designed to help you keep track of your solar system installation progress and energy production. 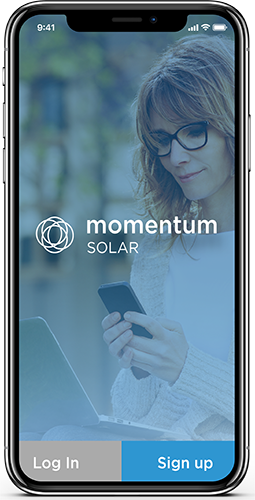 Now Available for All Momentum Solar Customers! From here, you can see all the components of your new solar system along with your Solar Systems current status. You can also contact our Customer Support team to answer any questions you may have. This is a list of steps involved in the eventual installation and activation of your New Solar System. 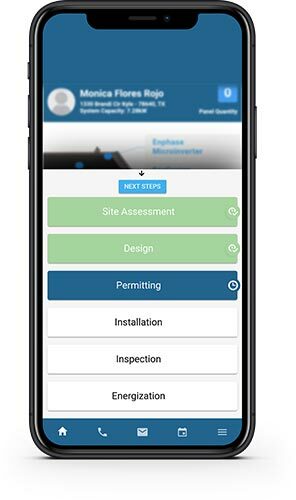 Here you can view all the steps that have been completed or are in progress. The Events Calendar will keep track of the specific dates certain steps were completed or are scheduled for. 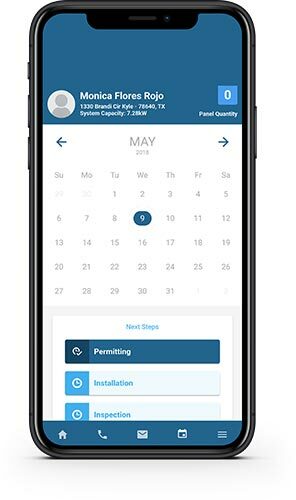 If you have any questions on specific dates or wish to make changes to a scheduled event, you can do so by tapping on the phone or email icon and speaking with our Customer Support Team. 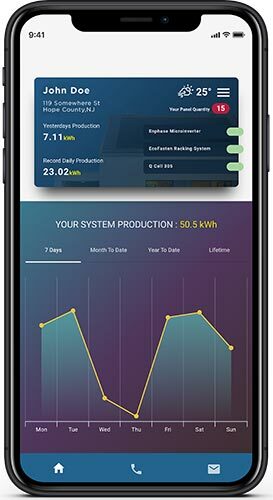 Once your solar system has been activated, you will be able to monitor your daily, weekly and monthly energy production with up to date production data.